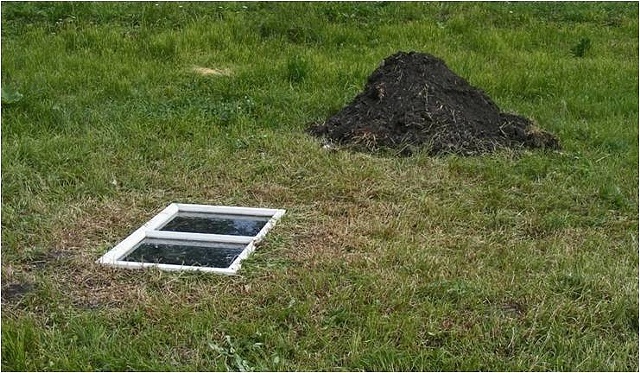 Rectangular 1 m deep hole, covered by a window. Its a response to the wealth of history in the surroundings: the summer residence of Samuel von Brukenthal, reminding of geologic excavations, where every layer of ground tells a story. So its literarily a window to the past.